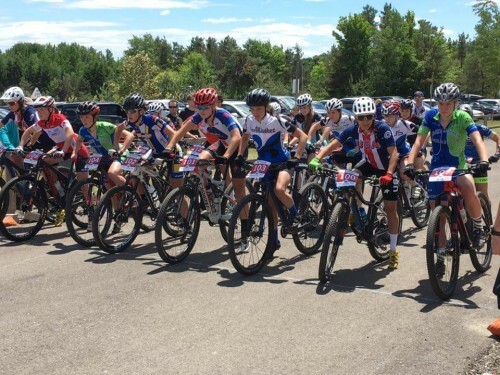 Assistant Editor's Note: We are very proud of Utah High School Mountain Biker Rachel Anders, who is excelling in both racing and academics, having been accepted to Stanford University for the coming school year. My first international race was at Worlds in Andorra last September. The course was short, rooty, steep, and slippery — a world of difference from most races in the US. With the huge crowds, a demanding course and fifty other aggressive junior female racers battling for position, the entire race felt like sensory overload. I'm excited to go to Czech with a bit more international experience under my belt, and try to better last year's result — 23rd place. The Czech Republic also hits a personal note since my dad's entire family lives there, and I'll have the chance to meet cousins, aunts and uncles for the first time. For me, mountain biking begins and ends in the close-knit cycling community we have in Utah; the support from home is unreal. Besides the countless number of friends and family cheering me on, I'd like to also thank Summit Bike Club, Competitive Cyclist, Pivot Cycles, and TOGS for helping me reach my goals. The Summit Bike Club especially, as well as every other Devo and high school team throughout the state, has been monumental in growing and supporting the sport. Its commitment to juniors has instilled a love for cycling in my teammates and me, and has created friendships that will last a lifetime. As Worlds draws closer and I will leave for Europe soon, I'm stoked for this opportunity to relay all the action and photos from Czech back to the US — please watch for my updates via cyclingutah.com and facebook.com/CyclingUtah! Rachel Anders of Sandy, Utah began XC mountain bike racing in the NICA high school league, and currently races with Utah-based Summit Bike Club. She competed at Worlds in Andorra last year, and explains that she is “excited to go fast and get rad in Czech this year.” She recently graduated from AMES high school, and as mentioned in the intro, will be attending Stanford this fall. Note: The 2016 UCI Mountain Bike World Championships will take place from June 28-July 3 in Nove Mesto Na Morave, Czech Republic. One Response to "2016 MTB Worlds Preview: Czech’ing Back With Rachel Anders"